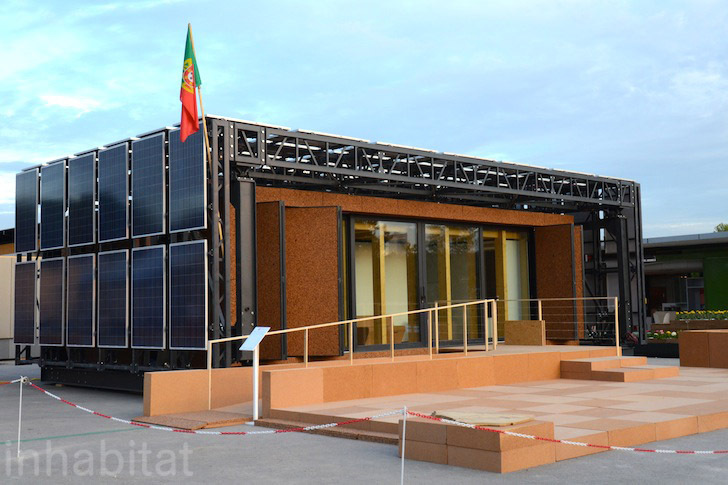 Portugal aimed for the sky with their modular Casas Em Movimento house at the 2012 Solar Decathlon Europe. It's designed to follow the sun's east-west journey throughout the day in order to increase energy production, reduce heat consumption and adjust interior daylighting, and it has a protective photovoltaic skin that also generates a ton of energy. In fact, CEM+NEM- believes their house can generate as much as 12.220kWh of energy each year - which is 2.5 times more than it consumes. The last time we checked, the Casas Em Movimento House is not actually rotating, but its performance scores are climbing despite some delays in construction. Conceptually, the robust envelope of photovoltaic panels moves in two directions to maximize solar gain in both summer and winter. This uses less energy than that which is required to power an iron. The entire home’s rotation uses the equivalent of six lamp bulbs and results in a 40% increase in energy production. In addition to the energy-generating skin, the use of cork increases Casas Em Movimento aesthetic appeal. Laid in front of the house and incorporated into the interior as well, this is Portugal’s signature sustainable material and it has excellent thermal properties. Timber construction adds to the project’s overall sustainability, as does the modular construction, ensuring yet another quality collegiate architecture project. Stay tuned as we continue to report live from the Villa Solar in Madrid. 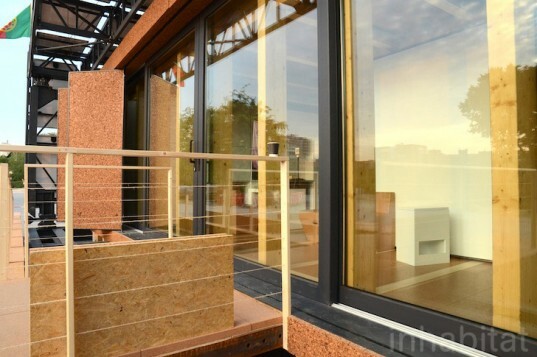 Technically, this home should be able to produce 12.220 kWh per year, while consumption is limited to just 3.885 kWh! Wowza.